"Gail has lived a transformational journey and should have the trust of others embarking on this journey themselves. Her personal story and the way she weaves is through her coaching work is very powerful, very credible. 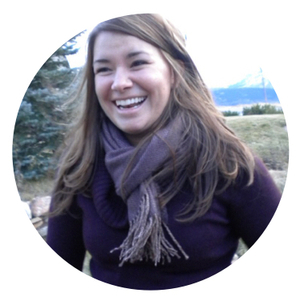 Her facilitation style is authentic, thoughtful, caring, and supportive." "Gail gave me permission to stop holding myself accountable for choices I made 20 years ago. This was a spot on game changer. The day after the Desire Map retreat, I resigned from my job. This was already brewing in discussions with my spouse, but my Core Desired Feelings gave me the courage to do it! I am now aware of my feelings in a way I’ve never been before." "In working with Gail I’ve realigned with my true self creatively and I’m reawakening my spirituality." Her Awaken course is short and sweet, but makes a big impact. It changed my life! I am happy, consistently happy, and not committing to things I feel I “should” do. Gail is a vulnerable, caring woman. Her encouragement to experiment with small, joyful steps has stirred up major changes!" "She is an amazing coach and so insightful. She gently challenged me to move beyond my comfort zone. I’m starting to re-wire my brain and heart around feeling-centric goal setting. This is so helpful as a successful business owner to ensure my business is sustainable for the long run! Gail challenged me to grow myself, and to live a more inspired, joyful life." "She helped me find answers to questions I've been posing to myself for quite sometime. She skillfully lead me to discoveries that were remarkable. I felt comfortable being vulnerable with her, she felt like a friend over the phone. She has an open and nonjudgmental vibe. There was such a great balance between humor and good work." "Gail is the perfect facilitator because she's simultaneously powerful, intuitive, delicate, and sensitive. This work is Gail’s calling, without a doubt. The fear and shame I let go of during her Desire Map retreat was life changing. I truly believe I am reborn and on fire. My life will ever be the same. The Desire Map was the missing piece for me." "For someone who loves the work of both Danielle LaPorte and Gabrielle Bernstein, Gail's Awaken course was perfect. "Even though there is a definite process to her work, it felt like Gail created it all just for me. That’s the sign of a skillful coach. I appreciate how articulate Gail is and how skillfully she lead me through the Desire Map. She listens well and I felt like she “got me” from the very beginning. She knows exactly when to push and when to ease up and let the process unfold." "Gail is a spiritual guru. She practices what she preaches and is so well-read in this field. It’s clear Gail is committed to helping people dig deep. This Desire Map retreat cracked open hearts and minds because of her razor sharp ability to assess the needs of the group. She encourages a warm, safe, inviting space by connecting so personally with each woman. She lit a fire in all of us!" "My Desire Map experience with Gail was epic. If anyone wants inspiration and guidance that absolutely lights up their life, this goddess is your guide. I recommend what she does with all my heart." "I always felt that to focus on me was selfish. I now see it as nourishing myself so as to better love, nourish, and serve those around me. This realization came because of Gail’s very calm and loving demeanor. I especially appreciated her empathy toward each of us. I was touched to hear genuinely emotional responses from her. She’s a very patient, clear communicator. All the women at the retreat felt safe with Gail. I told her this and I’ll tell everyone: Gail has found her life’s calling." "Working with Gail, I felt heard and supported on the journey to get to the core of how I want to feel. She dove deep with me and I feel such a sense of worthiness and permission. I loved the questions she asked, she really helped me get in touch with what was going on with choices I’ve made in my life. I’m already apologizing less, taking time to write, and making different choices in who I spend time with." "Working with Gail, I finally released pain that has been stuck for many years. She has the ability to completely transform people with her gifts of intuition and sensitivity. While there was clearly an outline for her process, it was Gail’s flexibility in working with people individually, weaving in her own life experiences, and staying committed to us the entire time that made the retreat so transformative. 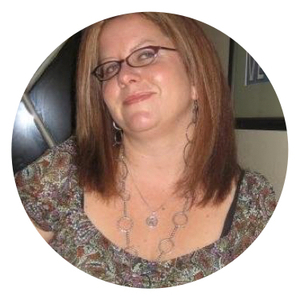 She is a talented and experienced facilitator!" "She opened up a world where I’m no longer chasing accomplishments, but living in my heart, asking myself how I want to feel. My entire Desire Map experience was safe, sacred, and perfect. She held space for me to have the breakthroughs I really needed. Gail's facilitation is intimate and allowed me to be vulnerable because she lives her truth. She has transformed her life because she became clear about how she wanted to feel." "I love her magical energy. Gail is kind, welcoming, honest, fun, supportive, and celebrated each of us at every turn. Her easygoing style and ability to be present with each of us individually was very powerful." "Working with Gail was absolutely mind bending and life changing! I immediately began utilizing the tools she gave me in our coaching sessions. Every day now I’m doing what my spirit tells me. I’m really listening! I'm mindfully making choices that feed my soul in my day-to-day." "My life has already changed so much! When feel negative emotions overtake me - stress, anxiety, fear - I breathe and remember my CDFs. It’s helped me discover who I am. That connection has been missing from my life. On the retreat Gail led an exercise where she coached each woman individually with the support of the whole group listening. This helped me draw closer to each amazing woman and also realize I wasn’t alone in my struggles." "I feel more clear, optimistic, and energetic than I’ve felt in months. What helped me move forward was Gail’s facilitation style and expertise. She’s thoughtful, supportive, and insightful. If the notion of setting goals based on how you want to FEEL rather than what you’re “supposed to do” resonates with you - if you’re even a bit curious about it - you should work with Gail!"